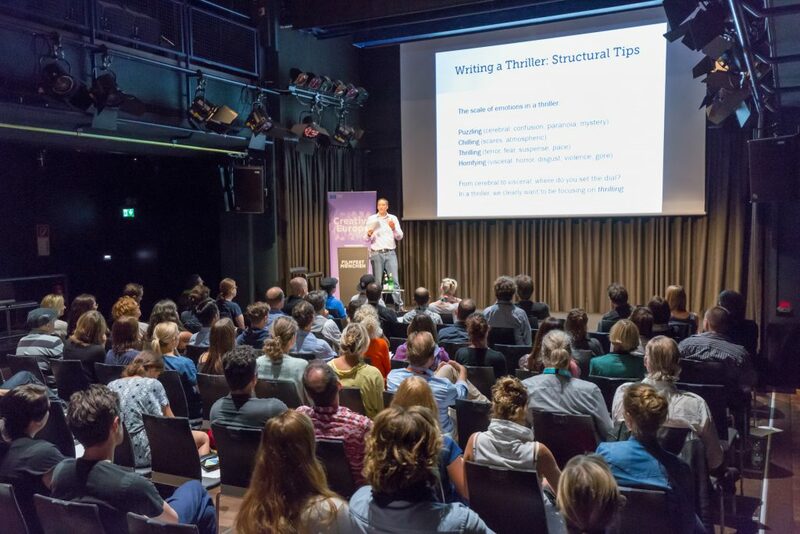 July 11, 2018: I'm back from Munich where I gave a 2-hour presentation based on my 2-day workshop, Writing a Successful Thriller. 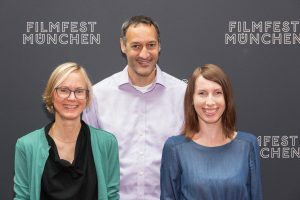 Many thanks to Ingeborg Degener and Ewa Szurogajlo from Creative Europe Desk Munich for their kind invitation and for being such wonderful hosts, and to the Munich International Film Festival for a superb venue. The audience was fantastic though, and according to the positive feedback it looks like most of them were able to make sense of my delivery. 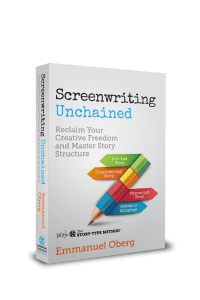 If you attended the session, make sure that you register and let us know you were there so we can give you access to the online documentation (a PDF of all the slides shown during the presentation and a free sampler of Screenwriting Unchained). For detailed instructions on how to proceed, please click here. "I’ve attended your session today in Munich. It was great!" "I attended the Creative Europe session on thrillers at the Munich Film Festival and I liked it a lot! " "Thanks again for a great two hours!" "Thanks a lot for this wonderful, concise presentation which will stay with me for quite a while!" "I found it to be really interesting and helpful." "The session really gave me some important insight for my work as a screenwriter." "Was really interesting! Thank you!" "Thank you for that beautiful lecture, I really enjoyed it. Especially since I always felt, that the Syd Fields' 3-Act-Structure is a little bit too dogmatic and especially doesn’t apply to most independent films." "I am always reading all these books on writing problems, but there are several ideas in your book I like very much, because they solve a lot of problems, not only for me as a writer but also for my teaching work. Thank you very much for sharing your ideas in your speech at Munich and in your book."